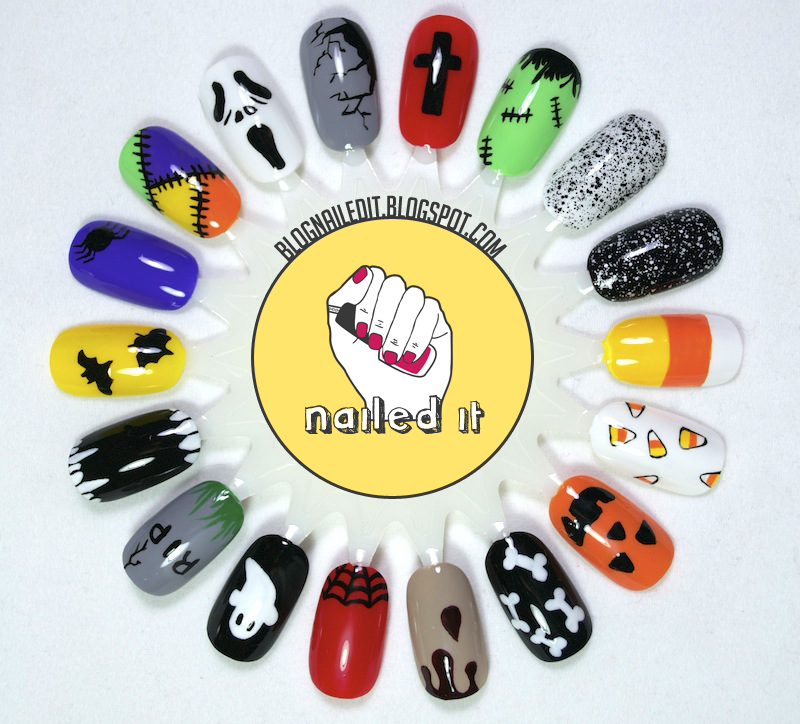 Tomorrow in the salon, I'm going to be displaying this Halloween-themed menu to encourage clients to try out some nail art! I kept the designs relatively simple to accommodate for time. Which would you pick if your salon was offering it? They are all great but I'm partial to the patchwork. It never occurred to me to do this at school but now I'm inspired. Thanks! I'd go for the white with black specks :) We don't really celebrate Halloween in Switzerland so this would be fitting and it's really fashionable! I think I would pick the black base ghost one =) I also made a ghost nail art design (with tutorial) which I posted on my nail blog yesterday, but that was only the ghost face. The full ghost you made looks so cute! I'm loving the black and white teeth! Bats on yellow. The candy corn ones and the Scream one are good, too. So cute I love them. The fangs (8pm) look great! I like the yellow color with the bats. It's Zoya Darcy if you were wondering. What is the orange you used? I have been looking everywhere for an orange I like and the ones I have found don't come out dark enough. The orange is Zoya Arizona. А как сделаны крапинки в правом верхнем углу. На черном и белом.